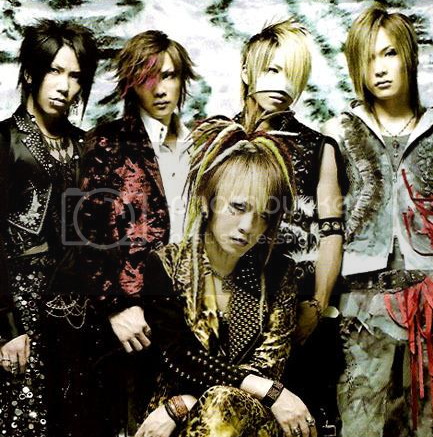 The Gazette is a Japanese rock band, and part of the visual kei movement. 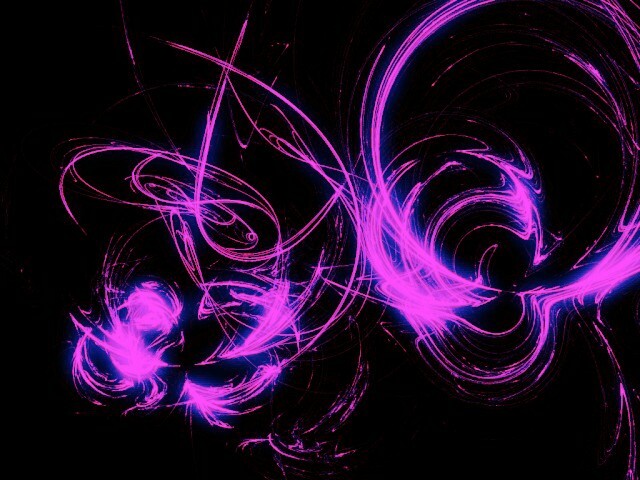 The band formed in early 2002 and is currently signed to PS Company and King Records. 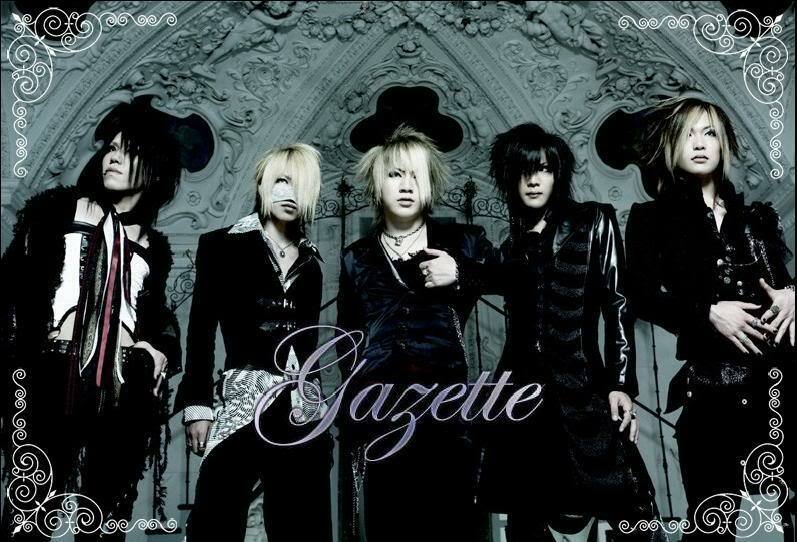 In March of 2002, Ruki, Uruha, and Reita (all former band mates), and Aoi and Yune (also former band mates) formed a band under the name Gazette. Originally signed to Matina, they released their first single, "Wakaremichi", and a video release in April. By September they had released two more singles and another video, headlining a show for the first time in October. On January 16, 2004 they recorded a solo performance at the Shibuya-AX, which was released on DVD as Tokyo saihan ~Judgement Day~. On March 30, 2004 they released their Madara mini-album, which reached #2 on the Oricon Indie Charts. Madara was followed in May by a companion DVD, which included six music videos and an in-the-studio documentary. The same month, Gazette was featured in Shoxx magazine's Expect Rush III, a catalogue of independent Visual Kei artists. A second live DVD, Heisei Banka, was released in August.During September and October they toured with fellow PS Company bands Kra and BIS. Their debut album, Disorder, was released in October, and made it to the top 5 of the indies Oricon Daily Charts. Starting 2006 with a name change—from Japanese characters to a romanized script—they released Nil, their second full-length album, on February 8, 2006,and embarked on another Japanese tour, ending at the venue Nippon Budokan. That July, The Gazette performed at the Beethovenhalle in Bonn, Germany, their first show outside of Asia. The concerts were arranged in conjunction with the AnimagiC anime and manga convention. A single called "Guren" was released on February 13, 2008, which landed a #1 spot on the Oricon Charts, and it was announced that a new DVD would be released in August, and a new single in Autumn 2008.